G-Cloud is essentially an iterative framework that allows government departments and organisations to buy cloud services from a list of pre-approved vendors. Suppliers who want to offer their services through G-Cloud have to submit their service details via the G-Cloud framework when an Official Journal of the European Union (OJEU) is open. On average, an OJEU will be open for 6 weeks, every 6 to 9 months. Once the submission has been processed, buyers will be able to find services live on the Digital Marketplace. Sign up to the Crown Commercial Service (CCS) eSourcing Portal. Register expression of interest on the CCS eSourcing Portal when the OJEU opens. Answer the invitation to tender (ITT) questions on the CCS eSourcing Portal. 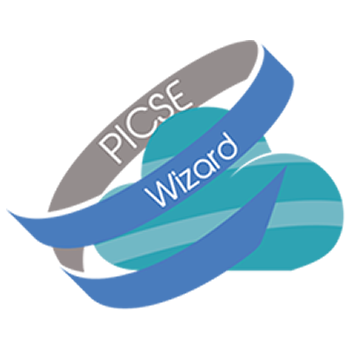 Services need to meet the definition of cloud computing services as described in the official recommendations of the National Institute of Standards and Technology (NIST). 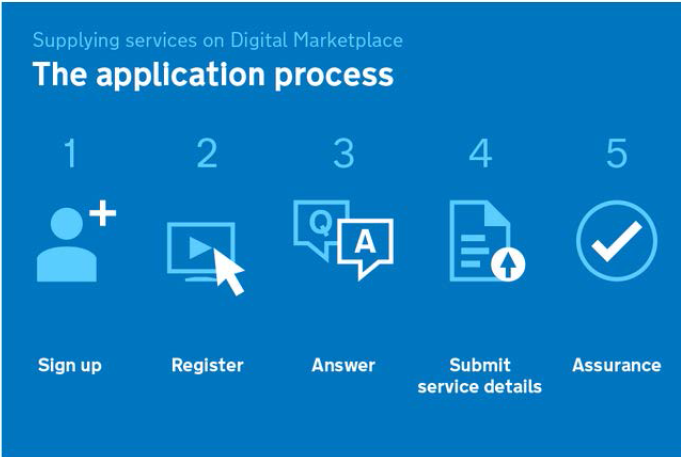 Submit company and service information to the Digital Marketplace using the service submission portal (SSP). Information includes a short service description, key product features and benefits, pricing details and terms and conditions. Each service needs to fit into one of 4 categories, or 'lots': Lot 1 - Infrastructure as a Service (IaaS); Lot 2 - Platform as a Service (PaaS); Lot 3 - Software as a Service (SaaS); Lot 4 - Specialist Cloud Services. Wait for assurance checks to be made on the submitted information. G-Cloud aims to promote transparency with all supplier products and companies listed side by side in an online catalogue; and introduce new suppliers. Most suppliers signed up to the framework are SMEs. This framework has taken agile, iterative techniques into procurement with regular refreshes and updates of the framework. A new version of the G-Cloud framework is released about every 6 months. Each version of the framework runs for 12 months so frameworks will overlap. This can have both advantages and disadvantages. New suppliers can regularly join the framework and gradually adapt to meet the changing needs. However, it can also create uncertainty and higher costs for suppliers. When suppliers are small the cost of keeping up-to-date with ever changing frameworks can be expensive and make up a high percentage of their revenues thus becoming a disincentive to enter the public sector. There have been several calls of contracts since the service was launched in 2012. By May 2013 there were over 700 suppliers 80% of which were small and medium enterprises. £18.2 million (US$27.7 million) of sales were made by April 2013. With the adoption of a Cloud First policy in the UK in February 2014, sales have continued to grow, reportedly hitting over £50M in February 2014. These are based on procurement of some 1,200 providers and 13,000 services, including both cloud services and (professional) specialist services as of November 2013. G-Cloud currently accounts for monthly sales of £20-£30m with the majority of this spent on central government. Approximately three quarters of the monthly expenses are for the acquisition of professional services.